We worked with AllenComm to design 8 interactive, leadership development eLearnings for IC's. What do you like best? Pete and Jackie from AllenComm were amazing. They become our new, dedicated team members after our original team leads left the company. Pete and Jackie made the transition seamless and delivered EXCELLENT customer service and thought partnership in the design! Beyond Pete and Jackie being excellent partners, I really liked AllenComm's team approach - they really do collaborate as a dedicated team of subject-matter experts! Everyone was also very welcoming when I visited the SLC office. What do you dislike? At first (with the original AllenComm team members who both left the company a few weeks into the project) - it was very disorganized and there was a lack of communication. Again, this VASTLY improve with Pete and Jackie as our new account managers. Based on the experience Pete, Jackie, and the team provided, I would highly recommend AllenComm! My experience with AllenComm was effortless. They were always two steps ahead on the entire project. What do you like best? AllenComm's was extremely attentive, timely, professional, and went out of their way to provide excellent service. Communication was great throughout the project, and their team embodies a collaborative spirit by offering sound advice and suggestions based on current industry trends. They really went above and beyond. I'm looking forward to working together on future projects. What do you dislike? I don't have dislikes to mention about AllenComm. They've been a great partner to work with. Fantastic. Open communication throughout the enitre process. What do you like best? The level of expertise, and how engrossed they became to learn so much about our industry. Each member from beginning with the RFP process, to the design level, and the creation team were personable, professional, and focused on our (ever changing) needs. What do you dislike? Nothing. I look forward to continuing our relationship with AllenComm and working on future projects together. AllenComm helped us convert a traditional, instructor-led training regimen to 100% online learning. What do you like best? Leadership has a focus on their customers. When something doesn't go right, they are responsive to our needs. It is a great partnership to have with a vendor. What do you dislike? Sometimes deadlines are not always met, or communicated clearly. We have worked through this by being crystal clear about deadlines and expectations. Very easy to work with, and the end product was incredibly impressive. What do you like best? I liked that AllenComm's philosophy was to use technology to create high quality virtual learning. This was very important to us, because we wanted to use virtual learning that would still have an impact on the user's behaviour. What do you dislike? There is nothing that I disliked about AllenComm.  I would use their services again and would recommend them to others. It has been an absolute pleasure to work with the staff at AllenComm. What do you like best? We are currently finalizing the Design Strategy document. This is a challenging project with multiple stakeholders, and since my first interaction with AllenComm, they have always been responsive, and I feel like they are 150% committed to the success of the project. What do you dislike? There is nothing I have to add here, I have only worked with them for a few months. AllenComm was fantastic to work with, very responsive, organized, and client focused. What do you like best? Produced an excellent product for us in a timely fashion while ensuring all our needs were met. What do you dislike? There wasn't anything I disliked about AllenComm, great service and customer focus. Great partnership for creation of a new modern learning solution. What do you like best? Very collaborative - great balance of listening / working with us, and challenging us by bringing their expertise to the project as well. Very productive - meeting kickoff hit the ground running, we tracked to original project plan. What do you dislike? Initial project quote was high. We agreed on a fair price and we got what we paid for (quality deliverable). Excellent engagement process. Truly interested in learning about our needs. What do you like best? Focus on meeting our needs through innovation and quality management. High quality of the team members -- skillful and customer focused. What do you dislike? There is really nothing negative to note here. We have found AllenComm's staff to be skillful and concerned about our satisfaction. The products that they have created with us have been very well received. Some have won industry awards. AllenComm is a great partner with a really wonderful project and sales team. What do you like best? Marty has always been and continues to be wonderful at building a business relationship that is based on strong communication, follow up, and commitment to customer satisfaction. What do you dislike? Due to speed at which our organization is required to develop materials, at times it can be cost prohibitive to partner on projects with very short timelines. Creative, collaborative, mission focused strategic delivery of complex ideas in user-friendly ways. What do you like best? We absolutely love the team engagement, collaboration, and creative ingenuity. AllenComm stayed budget, and raised the bar on quality. Their process of ideation to realization is truly a strategic advantage. We love that we can tweak and improve the course as we get end-user feedback without breaking the bank or excessive downtime. The best part is that our end-users enjoy the learning journey as they develop lifesaving travel safety skills and develop their contingency plans. What do you dislike? They are far far away from us in Utah. We are in Minnesota. But they are worth the pain of time and distance differences. What do you like best? When searching for a collaborative, result oriented content partner to replace a prior vendor, we met the team at Allen Communications and immediately became excited by the new partnership. Elevating our level of content, delivery mechanisms and channels, interative and instructional custom content design and service of a boutique firm. Great team that listens and provides real solutions for the evolving retail landscape. What do you dislike? N/A - Very few issues to share. On Boarding a new project took some initial work on the front end, however once organized, the team was off and running. Allowed our brand to take our external training up 5 notches! What do you like best? I really liked the team approach -- it allowed a variety of experts to join forces to ensure we were putting our best foot forward during each step of the process. What do you dislike? Nada! What do you like best? Professional, talented and creative group of people! Very responsive to our emails and questions. What do you dislike? The feedback tool to input comments on the module was not very intuitive and required a lot more time on our part then we anticipated or liked. Super proactive, organized and strategic. What do you like best? Loved the team we worked with, how organized and positive they all were, as well as the quality product they delivered. Professional and methodical at producing world-class training. What do you like best? The people are truly great at what they do. Allen Communications was invested into our success. What do you like best? For every project, at both the content development and content delivery levels, AllenComm was extremely creative and open when finding L&D solutions that met our needs and budget. They continually worked with us to upgrade the learning portal to ensure a streamlined learner experience. They also performed critical analyses and formed focus groups, using our Representatives, to ensure that training content being built was meaningful and impactful. What do you dislike? It's hard to say dislike. More like "can be better at". Attrition can be challenging, but in our industry, attrition is expected. There was a departure of a critical resource, in the middle of a project, that caused delays. Smart, creative, efficient and exceptional client service. One of a kind! What do you like best? Without a doubt, the way that our project team managed and worked with us was exceptional. Despite many stops and starts on our end, we never lost our key account person due to their dedication and devotion of seeing it through till the end. That continuity was key in executing an extraordinary result. Special shout-out to our Account Director, Daniel Sowards and his team - - we would never have the amazing program we have today without their insightful, smart and passionate approach. What do you dislike? Nothing I can report here since we truly had an incredibly positive experience. What do you like best? 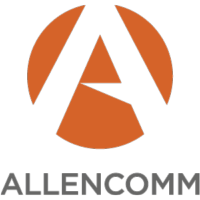 AllenComm was easily the most responsive and proactive vendor I've ever worked with. They clearly keep the client's needs above all, are very transparent and easy to work with, and deliver high quality output. Excellent communication and finished product. What do you like best? Creative, time-sensitive, easy to work with. Respected our time, resources, needs, and requests. What do you like best? We had not used such a "techy" company before and their willingness to take the time to teach us as well as show us the possibilities was greatly appreciated. Their beautiful and vibrant work is such an impressive add to our current curriculum that our other classes are looking very antiquated. Allen Comm helped us get our brand training off the ground. What do you like best? Allen Comm has been a true partner for us. They are friendly, easy to work with, and have delivered a large variety of quality learning solutions for our company in a short amount of time. A partnership with open communication. What do you like best? I love that Allen Communication is articulate about their capabilities, up-front and open when problems arise, and willing to adapt to the ever-changing needs of our business. Allen Communication's work is always outstanding. What do you like best? The quality of their work is always great and their employees are a pleasure to work with. What do you dislike? Their pricing is a bit higher but the quality is always there. Provided excellent project development and support! What do you like best? My company engaged Allen Communication in a large scale training project. They were very easy to work with and worked through us to develop an excellent program. The Allen team that we worked with was very responsive to our needs and concerns and kept our project on track. John M. — Field Management Development Specialist at Sheetz, Inc.